Ah, Snapchat. Whatever your opinion of Snapchatting, Snapchatters, and/or Evan Spiegel, the vanishing-media app has poised itself to be a durable feature of our social media landscape, with oft-criticized CEO Spiegel secure at the top. 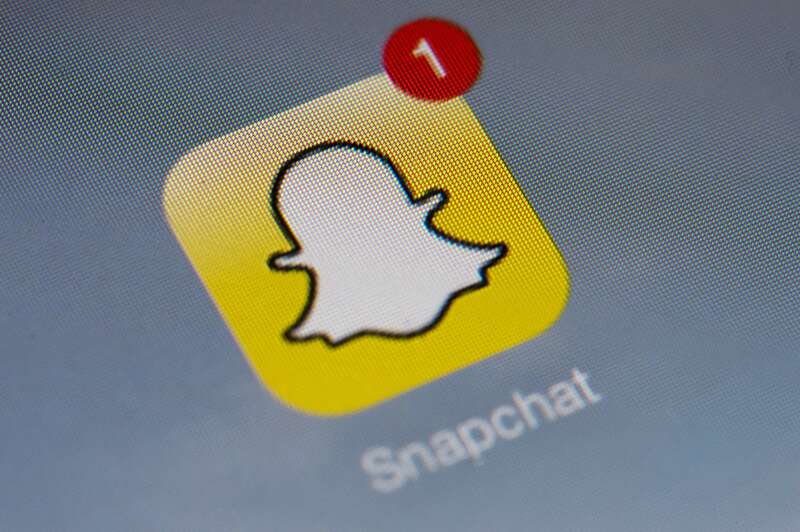 Yes, Snapchat's been around a while, but whether you're a newcomer or a regular user, you still be looking for some hints — so here are four Snapchat hacks anyone can use. Sure, we all may age out of it someday — maybe when Apple releases its hologram-ray Apple Watch 8 in 2025, huh? — but for the time being, it's good to know you've got your Snap business handled. From saving to not saving, or turning your Snaps into artwork and edgy black-and-white sketches, we've got you covered. Here are some tricks you can use to optimize your experience, in one way or another. One of the coolest things about Snapchat, and app concepts like it, are the tools you have to air a lot more creativity and artistry than people can do just by sending a photo or a raw clip of video. Being able to draw over the top of your Snapchats is a prime example of this, and has borne out some impressive results. Snapchat art can go wrong, sure, just like anything can. But it can also go so, so right. And if you really want to hone your Snapchat art skills at the peak of your abilities, there's a crucial (if somewhat simple) element to keep in mind — it's much easier, and generally yields far better results, to use a tablet device instead of a phone. Bigger screen = more precision, after all. And if you want to do even better, you should consider picking up a stylus with that, a must-have for any iPad-toting sketch artist. Something unique about Snapchat is how almost deliberately evasive some of its user interface choices seem. Having a secret, completely unapparent ways to change your drawing color, for example! While the colorful ribbon you get to choose from seems pretty simple on its face, there's actually a trick hidden beneath the surface that's essential for anyone who wants to do some high-quality Snapchat art — drawing in black and white. The trick is incredibly simple, and it'll open up your ability to add hard, dark edges to your drawings. Just press your finger against the color ribbon in the upper-right hand corner of the screen, then drag it either to the upper-left or lower-left corner to draw in white or black, respectively. Just look at that deep, night sky! This is basically the patron saint of third-party Snapchat tweaks: wouldn't it be nice to hang on to any Snaps that you wanted? This, of course, undermines Snapchat's own vision as a spur-of-the-moment and highly disposable app. Under normal circumstances, Snaps vanish after they're watched, an ostensibly (though not truly) one-off communication. But if you really need to hang on to these things — the sentimental type, maybe? — you'd do well to download an app to help get around Snapchat's self-disposing methods. For a while, SnapKeep seemed like an exciting new option on iPhone to facilitate this, but recent reviews have indicated that it no longer works, likely thanks to Snapchat's efforts. In short, since Snapchat doesn't want you to be able to do this, it's always going to be touch-and-go as to which apps you can use, and which will work — Snapsave for Android is another oft-cited option. Don't Save All Your Snaps! Or, if you're the kind of person who's got some privacy concerns, maybe you shouldn't save your snaps! When a trove of 200,000+ undeleted, very much real Snaps got hacked and leaked back in 2014, Snapchat was quick to cast the blame on exactly the kinds of third-party apps that I just mentioned — in fact, it was a Snap-saving app called Snapsaved (not Snapsave, mentioned above) that ultimately admitted they'd been hacked. Basically, when you're engaging in any social media service, you're striking a balance between your desire for communication and openness, and your need for privacy. Snapchat clearly doesn't want people saving their Snaps, and it does make the Snaps a lot more vulnerable (even if they themselves aren't fully deleting them like they should be). Maybe this is the only, truly bold Snapchat statement possible — just play by the Terms of Service, and don't open yourself up to any needless risk.